Jane Austen's beloved characters return in this novella, a contemporary variation on Pride and Prejudice, one of the most popular novels in English literature. Doctor Lizzie Bennet, struggling against her conservative English countryside upbringing, determines to prove her worth as a dog psychologist. Nothing will deter her from her career until she meets the uppity and oh-so mysterious Londoner, Mister Darcy. Instead of planning a walk down the aisle, Elizabeth Scott is crossing the pond with the only companion she needs - her darling dog, Bliss. Caring for a pack of show dogs in England seems the perfect distraction from the scandal that ruined her teaching career, and her reputation, in New York. What she doesn't count on is an unstoppable attraction to billionaire dog breeder Donovan Darcy. When the irritating Mr. Collins proposes marriage, Elizabeth Bennet is prepared to refuse him, but then she learns that her father is ill. If Mr. Bennet dies, Collins will inherit Longbourn and her family will have nowhere to go. Elizabeth accepts the proposal, telling herself she can be content as long as her family is secure. If only she weren't dreading the approaching wedding day. Ever since leaving Hertfordshire, Mr. Darcy has been trying to forget his inconvenient attraction to Elizabeth. News of her betrothal forces him to realize how devastating it would be to lose her. Mr. Bennet dies, and Mrs. Bennet's desperation to secure her daughters' futures reaches new levels. When Elizabeth Bennet's home is lost to her, she finds herself in the clutches of a wealthy widow with too much time and money on her hands. 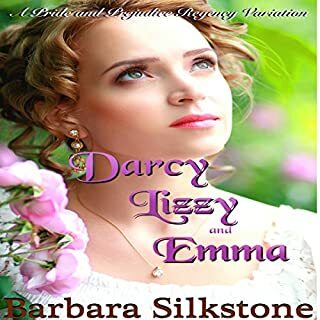 Stuck between an obstinate mother and an eccentric woman intent on creating mischief, Elizabeth's only comfort is in Mr. Darcy and his ever-present handkerchief. Who is this Mr. Darcy and what are his intentions? Like much of Meryton, the Bennets of Longbourn anticipate the arrival of Mr. Bingley and his friends to Netherfield, yet an unexpected visitor is not a part of Mr. Bingley's or Mr. Darcy's plans. While the two gentlemen attempt to control their uninvited guest, Elizabeth Bennet arrives to tend to her ill sister. 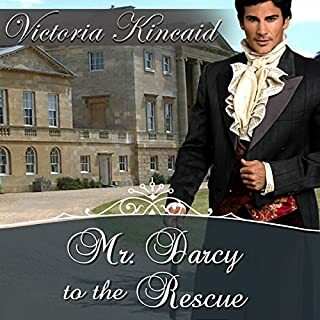 Darcy shares his secret vow and his bed with Lizzie Bennet in this fifth book in the Mister Darcy series of comedic mysteries. Will Lizzie help Darcy prevent the theft of the legendary Red Rosary? Can Lizzie get even with Caroline Bingley? And who is the mystery woman in Lizzie's father's life? Can be heard as a standalone, but it helps to listen to the series from the beginning. Based on the enduring characters created by Jane Austen, this is a contemporary spin on a classic tale of love denied and love discovered. 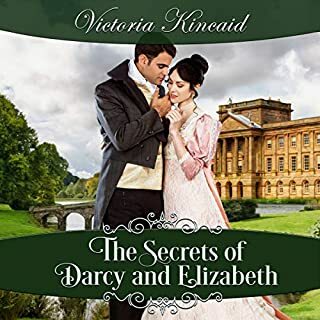 Lizzy wants to know Darcy's secrets, but he isn't quite ready to share them. There is angst, but the comedic errors on Lizzie's part had me laughing. The lotion and the antique desk, the mud room at the spa and Caroline Bingley. Barbara writes with such humor and keeps the plot moving along. There is even a character called Hyacinth Bucket, named after a favorite character from Keeping Up Appearances. I had a difficult time getting out of the car to go into work. The narrator,has kept the voices distinct throughout the series and was enjoyable to listen tI received the audiobook as a gift from the author in exchange for my honest review. I admit to yawning at Pride and Prejudice, but this modernized farcical series has me glued to it and laughing myself sillier. There is never any boredom with Silkstone books, only awful puns, lots of snark, twisty plots, and a sidewise take on things familiar. See publisher's notes for a clue to the plot, but there is soooo much more to the story! And if you can plug it into your ear, so much the better! Might not be suited for reading when strangers are near, or with liquids in hand due to severe cases of giggles. Jannie M gives a better performance every time she records a new episode, but I must be a New Yorker at heart, because I am thankful for the rate of speed feature. I really loved this book. Lizzy's character is a lot of fun. In this book someone is out to steal the Red Rosary and Mister Darcy asks for help from Lizzy to find out who is behind it. Mister Darcy finally breaks down and tells Lizzy his deepest secret. I received this audible in exchange for a honest review. The story was cute and the reader did a great job with the character switches. The story held your attention with the seemingly trouble this main character can find without looking for it. I still laugh at her attempt at fixing Darcy's desk that her lotion ruined. Jealousy and greed and funny escapades. 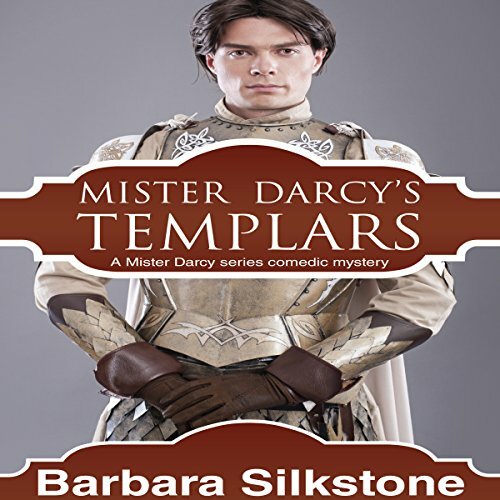 Mr. Darcy is a Templar! This was an interesting premise for Jane Austen fan fiction. For an avowed Jane Austen fan, the plot was a little thin and some of the characters were a stretch. But I did enjoy parts of the story and the tongue in cheek style of Barbara Silkstone's storytelling. In the end, I didn't love it but thought it was a bit of fun and good for some light listening. Lizzie is about to become engaged to Mr. Darcy but they keep getting interrupted. And Lizzie is questioning whether or not to accept Mr. Darcy, who obviously still has secrets he is keeping from her. Add to that a legendary rosary kept and protected by the Templars, a bunker used by Sir Winston Churchill that is about to be made into a nightclub, and George Wickham back in Georgiana's life, and you have a lot of trouble and things that can go wrong for Lizzie and her lover. Jannie Meisberger's narration was good for the material and she did a good job with both male and female voices. 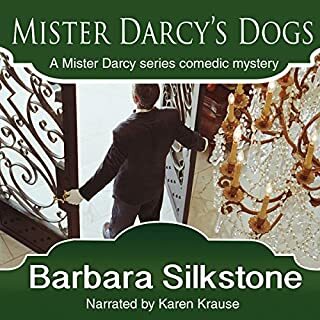 This is a great book; this is the fifth book in the A Mister Darcy Series written by Barbara Silkstone and narrated by Jannie Meisberger. This book can be listened to in one sitting if you have the time, once I started listening to it I didn’t want to put it down until the end. This is a great book with a wonderful story and well developed characters. This book will keep you reading long into the night. This was such a great read and full of surprises. I am looking forward to reading the next book by this great author. The narrator Jannie Meisberger did a great job with this book. She did a great job with the different voices of each character in this book. It was very easy to listen to in one sitting and I didn’t want to stop listening until the end. If you are looking for a fun book with great characters then you need to listen to this book. I am looking forward to listening to the next book by this author and narrator. While this story is well written and nicely narrated, I can't say that I could get my head around the fact that the names of the characters have been reused or borrowed from Jane Austen. I think that this has spoilt this series for me. This story could definitely have had its own characters and still have been good. To me, the characters will forever belong in the Jane Austen time span and not the current one. I was continuously shocked when something modern was mentioned - but that's me. Others might like this idea but I'm afraid it just wasn't my cup of tea. 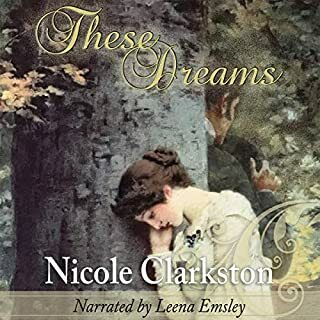 This audiobook was provided by the author, narrator, or publisher at no cost in ex,change for an unbiased review courtesy of AudiobookBlast dot com.